I WAS ARRESTED AGAIN ON 1-5-12, FOR NOT COMPLYING WITH A COURT ORDER BANNING ME FROM ACCESSING COMMON, CLAIMED BY AN EMPLOYEE OF BUTTERFLY CONSERVATION AS “THEIR PROPERTY”. I WILL THEREFORE APPEAR BEFORE SHREWSBURY MAGISTRATES COURT ON THE 17TH OF THIS MONTH. IT WILL BE MY INTENTION TO APPLY FOR RFERAL TO A HIGHER COURT, PRFERABLY THE HIGH COURT LONDON, I CAN ONLY HOPE. THIS INCIDENT CAME ABOUT SUBJECT TO A STATEMENT MADE TO A FREELANCE JOURNALIST WHO WISHES TO SUBMIT MY “STORY” TO THE TELEVISION PROGRAM MAKERS “PANORAMA”, SO QUITE UNDERSTANDABLY, FACTS AND ACCESS TO THE COMMON LAND WAS REQUIRED. I AM NOT IN ANYWAY STATING THAT I WAS COERSED INTO MAKING A STATEMENT, OR TO VISIT THE COMMON LAND WHICH IS AT THE CENTRE OF MY COURT BATTLES. 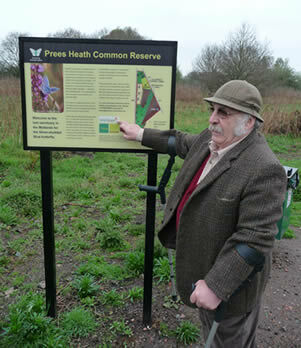 LATER IN THE DAY THE JOURNALIST AND MY WIFE VISITED WHITCHURCH HEATH COMMON CL21, WHICH HAS AN AKA OF PREES HEATH. I HAD, PRIOR TO MY INTENDED VISIT, EMAILED ALL CONCERNED IN THE FRAUDULENT CLAIMS TO OWNERSHIP/OCCOUPATION AND POLICE THAT I INTENDED TO BRING TO THE COMMON A JOURNALIST, SO STEALTH WAS NOT AN ISSUE. 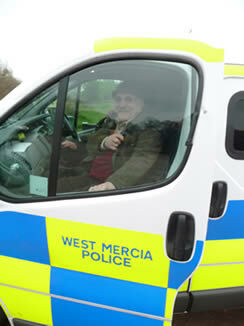 SO IT WAS SURPRISE WHEN THE IDIOT FROM BC ARRIVED AND PROMPLTY PHONED THE POLICE TO HAVE ME ARRESTED. THE ISSUES ARE WITH ME IS THAT I AM RETAINING MY STANCE BY REFUSING TO ACCEPT THAT THIS COMMON, IN ITS LEGAL TITLE, OR AS THE AKA HAS BEEN CONVEYED, IT CAN’T HAVE BEEN BECAUSE THERE ARE NO TITLE DEEDS TO EITHER. PRE 2005-6, SUCH CLAIMS HAVE BEEN DEFEATED, IN CROWN AND COUNTY COURTS BEFORE A CROWN COURT CRIMINAL JUDGE, AND BEFORE A CIVIL CIRCUIT JUDGE, THEREFORE THESE MATTERS WOULD NEVER HAVE REACHED THE CRISIS IT HAS TO-DAY. MY RIGHTS TO ACT AS MY OWN LEGAL AS LITIGANT AND MITIGANT, WAS ALWAYS ACEPTED BY THE CIRCUIT JUDGE, AND MY QUESTIONS WERE THOROUGH, AND I GAINED JUSTICE. SINCE THE BILL ON COMMON LANDS WAS PASSED BY PARLIAMENT IN 2005, AND IN 2006 WAS GIVEN ROYAL ASSENT, THE PUBLIC HAS LOST ALL RIGHTS WHERE COMMON LANDS AND RIGHTS ARE CONCERNED. THE BEST SOLICITOR IN THE WORLD WILL NOT BE ABLE TO GAIN JUSTICE FOR CLIENTS, FIGHTING THE CORUPT COUNCILS AND QUANGO’S IN CIVIL COURTS OR MAGISTRATES. I HAVE LOST COUNT ON THE AMOUNT OF APPLICATIONS FOR SUMMONSES I HAVE MADE, SO HOW CAN ONE GAIN JUSTICE EVEN WHEN THE LAWS/LEGISLATION PROVIDES ACTS OF PARLIAMENT FOR THE MEMBERS OF THE PUBLIC TO DEFEAT FRAUDULENT CLAIMS OF OWNERSHIP TO COMMON LANDS THAT WERE NOT DEMENSE LANDS OF THE MANOR? SUCH LANDS WERE VESTED AS UNCLAIMED COMMON LAND IN 1965 UNDER SECTION 9 OF THE ACT, IN THE PROTECTION OF REGISTERING AUTHORITIES. THIS VESTING GAVE THE COUNCILS POWER TO SEEK ACTION IN THE COURTS WHERE UNLAWFUL DEVELOPMENTS, OR COMMONERS AND PUBLIC RIGHTS WERE IN DANGER. THE ACT HOWEVER DID NOT BESTOW ANY JURISDICTION ON THE COUNCIL/REGISTERING AUTHORITY. THE STATUS OF THE COMMON LAND IS KNOWN BY THE AUTHORITY, THEY ARE BOUND BY LAW TO COMPILE REGISTERS TO THAT EFFECT, COMMONERS RIGHTS REGISTER AND A “COMMON OWNERS REGISTER”. THE RIGHTS REGISTER DETAILS THE QUANTIFICATION OF RIGHTS, EACH COMMONER IS ENTITLED TO I.E, THE “PRODUCT”. THE COMMON OWNERS REGISTER, IS COMPILED FROM LEGAL RIGHTS ON AND OVER THE COMMON, AND EACH APPLICATION TO REGISTER OWNERSHIP MUST BE ACCOMPANIED BY DOCUMENTARY EVIDENCE “PRE-REGISTRATION OF TITLES AND ANY OTHER DOCUMENT SHOWING CONVEYANCE/ACQUISITION. IT BEGGARS BELIEF, WHEN CLAIMS TO COMMON LANDS AS OWNERS ARE MADE, TO LANDS THAT IN 1965 (SECTION9), AND NOW 2006(SECTION 45), WERE DEEMED COMMON LANDS WHERE AN OWNER COULD NOT BE TRACED, THIS IS WHY A COMMON OWNERS REGISTER IS PARAMOUNT. 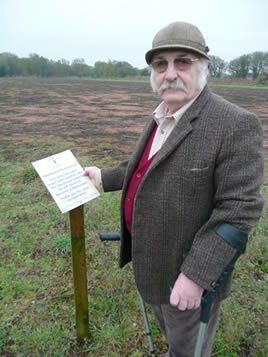 WHITCHURCH HEATH COMMON CL21 HAS BEEN SUBJECTED TO SUCH FALSE REPRESENTATIONS, BY SHROPSHIRE AUTHORITY, EMPLOYEES OF BUTTERFLY CONSERVATION, AND PREES HEATH Ltd, STATING THAT THE LAND IS PREES HEATH COMMON, AND THAT CONVEYANCE AND LEASES OF THE LAND UNDER THAT AKA HAS BEEN EFFECTED LAWFULLY. UNLAWFUL LEASES YES, CONVEYANCES NO. PRE 2006, EVIDENCE, TO SHOW LAWFUL DEEDS OF GRANT WERE RULED BY TELFORD COUNTY COURT AS UNSATIFACTORY IN LAW. IT IS THE SAME “VENDOR” NOW, THAT IS BEING ALLOWED TO GET AWAY WITH MORTGAGE FRAUD(THIS WAS IDENTIFIED BY PAUL OSBORNE, SOLICITOR FOR PREES HETAH Ltd), NOT BY CONVEYANCE, BUT BY LEASE AGREEMENTS, IT IS STILL THE SAME CRIME AS MORTGAGE FRAUD USING PROPERTY, NOT BELONGING AS COLLATERL. THAT WAS MY CLAIMS TO TELFORD COUNTY COURT PRE 06, AND IS STILL MY CLAIMS TO DAY. I CAN ONLY PROVE WHAT I CLAIM NOW, BY COURTS, ADMINISTERING CORRECTLY, THE LAWS OF THIS LAND, FRAUD ACT, CONVEYANCE AND COMMON LAND LAW, WHICH HAS RECEIVED ROYAL ASSENT. 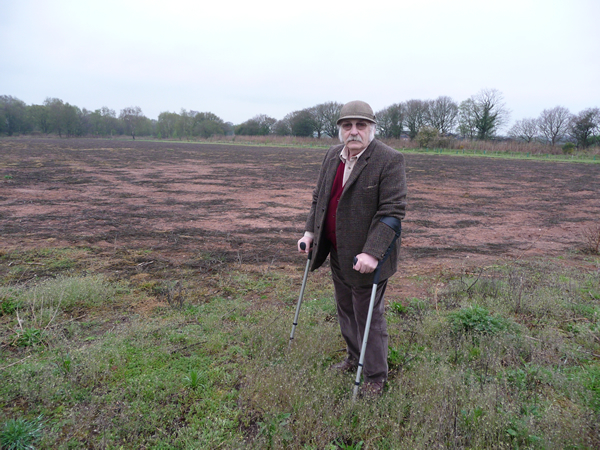 SINCE THE LAST COMMON ACT, I HAVE TAKEN COURT ACTION, AGAINST EMPLOYEES OF BUTTERFLY CONSERVATION, MARTIN WARREN, JOHN DAVIS AND STEPHEN LEWIS, UNDER SECTION 41 OF THE ACT, TO HAVE THE WORKS, VISITED ON WHITCHURCH HEATH COMMON CL21, STOPPED, AND THE LAND REINSTATED. UNDER SECTION 41, I HAVE ALSO MADE AN APPLICATION FOR DISCLOSURE; THIS WAS ACCEPTED BY JUDGE EDDEN SITTING AT TELFORD COUNTY COURT. HOWEVER, THE ORDER WAS NOT COMPLIED; A LETTER OF CONFIRMATION BY THE DEFENDANTS SOLICITOR STATED HIS CLIENTS DO NOT HAVE ANY SUCH DOCUMENTATION. MY RIGHTS TO APPLY FOR JUDGEMENT WAS REFUSED, BY JUDGE BROWN, BECAUSE A LAND REGISTRY DOCUMENT HAD BEEN PRODUCED. TO OBTAIN A LAND REGISTRY DOCUMENT ONE MUST HAVE TITLE DEEDS, AS CLAIMED BY THE DEFENDANTS SOLICITOR, HIS CLIENTS DID NOT HAVE TITLE DEEDS. LAND REGISTRY STATED THAT THERE WAS/IS NO LINK BETWEEN THE DEFENDANTS EMPLOYERS AND THEMSELVES. I KNOW WHERE AND HOW THE DOCUMENT WAS OBTAINED, AND I HAVE UNSUCCESSFULLY BEEN DENIED AN ORDER FOR DISCLOSURE BY THE COURTS. MY LAST COURT APPEARANCE OVER CLAIMED DAMAGE TO PROPERTY OF BUTTERFLY CONSERVATION (GATES) ON LAND OWNED BY BUTTERFLY CONSERVATION WAS HEARD 2011. FOR MY DEFENCE I EMPLOYED A BARRISTER. MY INSTRUCTIONS FOR HIM WAS TO APPLY FOR SUMMONSES, ALL OF THE FORMS WERE FILLED IN BY MYSELF ON THE INSRUCTIONS OF THE COURT. APPLICATIONS WERE MADE FOR HEADS OF CHARITIES, THE VENDOR HIMSELF, CHIEF EXECUTIVE OF SHROPSHIRE COUNCIL, MARGARET EARING HMRC, ENTRUST, SIR DAVID ATTENBOROUGH PRESEIDENT OF BC, JULIE WILLIAMS COMPANY SECRETARY, DIRECTOR OF FINANCES AND DIRECTOR OF RESCOURSES OF BC, MATT YOUNG OF GRANTSCAPE (THE FUNDERS) DR HELEN PHILIPS, GLENYS TUCKER, MERVYN EVANS, CHRIS HOGARTH AND JENNY JOY NATURAL ENGLAND, MARTIN WARREN AND JOHN DAVIS AND STEPHEN LEWIS BUTTERFLY CONSERVATION. THESE PEOPLE I REQUIRED TO DICLOSE AND TO GIVE EVIDENCE, THAT’S WHERE MY PROOF IS THAT NO CONVEYANCE WAS OR COULD EVER BE EFFECTED, AND BECAUSE SGT NEAL PARKER HAD ALSO STATED THAT “HE” HAD SEEN THE ONLY DOCUMENT, SHOIWN TO HIM BY JENNY JOY, WAS ONLY A LEASE AGREEMENT, EVEN THAT IS FRAUDULENT. PARKERS IS PREPARED TO COMMITT PERJURY AND DENY EVER MAKING THAT STATEMENT! I HAVE BEEN ARRESTED, ASSAULTED CRIPPLED, LOCKED UP, AND TAKEN TO COURT FOR COMMITTALS, BANKRUPTCY AND INJUNCTIONS. PRE 2006, I DEFEATED ALL CLAIMS, WHY, CAN I NOT DEFEAT THEM NOW? SAME COMMON, SAME VENDOR, SAME COURTS, SAME POLICE. PERHAPS, THE STABLE MINDED CAN UNDERSTAND WHY I WILL NEVER COMPLY WITH ANY COURT ORDER; EACH IS THE RESULT OF FALSE REPRESENTATION BY THE CLAIMANTS. MY BUNDLE HAS NEVER BEEN READ BY THE COURTS, SO HOW CAN I DEFEND MYSELF AGAINST COURTROOM MALADMINISTRATION, ABUSE OF OFFICE. THAT THEN IS WHY I WILL GO ONTO WHITCHURCH HEATH COMMON CL21, OR, IF YOU LIKE PREES HEATH, BECAUSE IN 2002, 15TH JULY, I, ON BEHALF OF COMMON HERITAGE, OF WHICH I AM CHAIRMAN, CLAIMED THE ENTIRE COMMON LAND OF THE AKA, SIGNED AND DATED BY DAVID WISE. THIS REGISTRATION HAS “NOT” BEEN DISENGAGED; NO COMMON OWNERS REGISTER TO SHOW ANY LEGAL DOCUMENTATION HAS BEEN LODGED TO REMOVE MY REGISTRATION, NOT EVEN BY BC. ALL IN ALL, ABUSE OF OFFICE AS A CHARITY/S AND QUANGO’S IS RIFE, COLLUSION HAS BEEN IDENTIFIED ALSO. IT SEEMS CRIME DOES PAY, BECAUSE COMMON LANDS ARE BEING STOLEN THROUGH FALSE REPRESENTATION, BY COUNCILS AND SO CALLED CONSERVATIONIST. PERSONS ARE BEING VICTIMISED, HUMAN RIGHTS AND DEMOCRACY ARE BEING INTERFERRED WITH. CLAIMS THAT I AM INVOLVED IN COMMON LANDS THROUGHOUT ENGLAND IS TRUE, THAT I DO “POKE MY NOSE INTO OTHER COMMON LANDS” BUT IM NO PINOCCHIO. THROUGH THIS BREIF PRESENTATION I AGAIN CHALLENGE THE CLAIMANTS TO DISCLOSE, NOT JUST IN SHROPSHIRE, BUT IN EVERY COUNTY OF ENGLAND AND WALES, CHALLEGES HAVE BEEN SUCCESFUL, NOW THE PLANNING INSPECTORATE AND THE COURTS MUST ADMINISTER THE LAWS PASSED BY PARLIAMENT, AND STOP THE CRIMINALISATION OF INNOCENT MEMBERS OF THE PUBLIC THAT OBJECT TO DICTATORSHIP. the pinnacle of Orwellian repression. 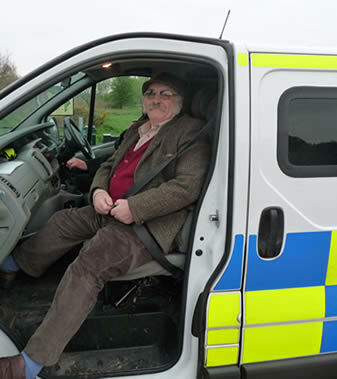 The arrest of Tony Barnett at Whitchurch Heath(AKA Prees Heath) for being in breach of a restraining order that denied him access to Prees Heath is almost the pinnacle of Orwellian repression. The history of Tony's(on behalf of the public ) 'conflict' with authority regarding this issue is very simple. 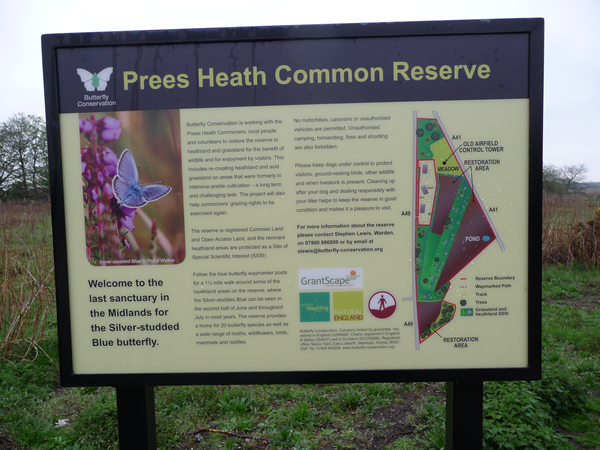 Whitchurch Heath was registered under 'Common Heritage' ownership ,as an academic exercise, several years before Butterfly Conservation 'purchased' the Common under the name of Prees Heath from Prees Heath Ltd with funding supplied by Natural England. The existence of two owners,despite the changed name,was drawn to the attention of the Land Registry,Sir Mike Pitt(Planning Inspectorate),MP's,Ministers and,of course the Butterfly Trust and NE. Tony requested proof of ownership and pre registration documentation that has never been forthcoming and,in investigating the conveyance,found large financial irregularities. Those who read Horsey Talk know of Tony's bravery,in the knowledge of his rectitude,in 'facing down' authority and taking down fencing/obstructions illegally enclosing Common Land but,in this instance,it lead to a restraining order. 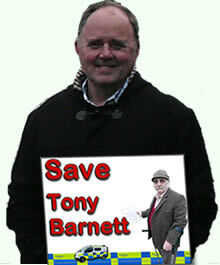 Tony has an objective.To reach the High Court where he is sure that judges with legal expertise will validate his claim that Common Land law is being abused at a local level and that fraternal links between various organisations are denying him justice,peace of mind and access to our 1000 year heritage. As 'owner' of Whitchurch Heath Tony has every right to access that area whilst Prees Heath,as a non existent Common, cannot have a restraining order made on its behalf except,of course,within the Orwellian structure that multiple objector groups find themselves facing every day in the UK of 2012.
but he is a man I call a friend. Everything Tony is,and represents,is freely communicated without grace or favour and in his frequent communication with me he is unwavering in his support for the basic precepts of 'Britishness' and beyond that puts himself into the 'firing line' first. Tony is the epitomy of John Bull and thus alien to European agendas that aim to homogenise,degrade and impose on that which we all accept as our right. Doggedness,honesty,veracious research,fearlessness,love of heritage,natural respect and a sense of justice far exceeding those he opposes are all virtues that demand our support to help Tony reach a just forum that is prepared to 'root out' the collusive,unlawful and destructive forces that operate within organisations that are,functionally,unaccountable. Whilst Tony's experience relates to Common Land the actual issues strike at the very heart of British democracy.As such the issues impact on every person living in the UK. If 'John Bull' can be arrested for supporting the law with no recourse to expert judgment.If 'John Bull' can be criminalised for accessing land he had claim to.If 'John Bull' discovers serious collusion and fraud but his calls for resolution are ignored we all deserve the state we inherit if we fail to stand up and demand JUSTICE FOR TONY BARNETT AND VICTORY FOR OUR LEGAL HERITAGE!!!! !